Sensory processing disorder or BI and an anxious temperament? Many children with movement disorders who present with difficult behaviors at home, at school and in therapy sessions are given a diagnosis of sensory processing disorder (SPD). 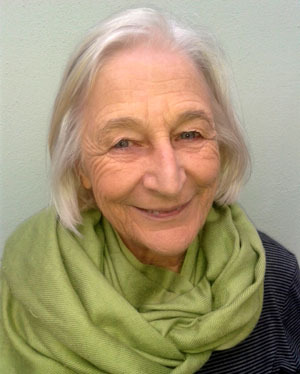 Proponents of SPD as a distinct disorder and sensory integration as the method of choice for bringing about change in children's behavior base their thinking on the theories and principles proposed by Jean Ayres developed in the 1960's and set out in her book Sensory Integration and Learning Disorders (1972). The Sensory Processing Disorder Foundation describes SPD as follows: “Sensory Processing Disorder (SPD, formerly known as "sensory integration dysfunction") is a condition that exists when sensory signals don't get organized into appropriate responses. Pioneering occupational therapist and neuroscientist A. Jean Ayres, PhD, likened SPD to a neurological "traffic jam" that prevents certain parts of the brain from receiving the information needed to interpret sensory information correctly." A person with SPD finds it difficult to process and act upon information received through the senses, which creates challenges in performing countless everyday tasks. Sensory Integration (S.I.) is the term used to describe the way in which the brain sorts out and organizes for our use the many sensations which we receive. Dr Jean Ayres defined sensory integration as, ‘the neurological process that organizes sensations from one’s own body and from the environment and makes it possible to use the body effectively within the environment” (Ayres, p11, 1989). Sensory integration is described as the body’s ability to receive or take in sensory stimuli, interpret the stimuli, process the stimuli into a response and adaptively respond to the stimuli. "The sensory system takes information from the surrounding environment through touch, smell, sound, vision, taste, movement and gravity. It processes or interprets these sensations together to make sense of the environment. The process of sensory integration lays the foundation for efficient operation of the nervous system and other parts of the body that respond to the signals sent by the nervous system. The child then responds to these sensory inputs and makes appropriate responses to perform skills required". Physical therapists working with children often encounter difficult behaviors which range from negative hyper-arousal and poor emotional regulation to fearfulness coupled with avoidance of certain tasks, meltdowns and tantrums, strong responses to certain sensory events and separation anxiety. All of these behaviors are part of the profile of a child with a fearful temperament disposition, known as behavioral inhibition (BI) coupled with poorly developed emotion and cognitive self-regulation. In some children these behaviors may be a sign of a clinical anxiety disorder. Recognizing the underlying biological substrates as well as the environmental factors that contribute to these difficult behavior patterns allows physical therapists to adopt intervention strategies that promote the child’s ability to regulate his/her fearful behaviors, take on physical challenges and improve self-esteem and self-efficacy. Behavioral inhibition, dysregulated fear behaviors and anxiety may also underlie, and possibly be the root cause of many behaviors in children with a diagnosis of sensory processing disorders. Certainly sensory over-responsivety (SOR) has been linked to anxiety in children (Lane 2012, Keuler 2011). Recognising and understanding how an overactive fear system (BI) impact on behavior provides therapists with a range of evidence based behavioral approaches that can be used to moderate behavior in therapy sessions, as well as have a broader impact on the child's behavior at home and at school. Several of the statements contained in these quotations can be challenged based on lack of evidence and an outdated concept of how the brain functions. Firstly there is no published evidence that difficulties with sensory integration or sensory processing as defined by Jean Ayres causes, leads to or underlies motor clumsiness, behavioral problems, anxiety, depression, school failure, internalizing and externalizing disorders. The other problem is that many of the behaviors and symptoms that proponents of SPD ascribe to difficulties with processing sensory information are based on assumptions about brain function prevalent in the 1960’s when Ayres first proposed her theory. In the 47 years since the publication of her book Sensory Integration and Learning Disorders in 1972, the neuroscience of development and brain function has evolved in ways that have required a complete overhaul of all the theories and assumptions that guided the process oriented treatment approaches such as SI and NDT developed in that era. To highlight one premise central to the theory of SI that does not hold given modern understanding of brain development and networks: there is no "neurological process" that organizes sensations from one’s own body and from the environment and makes it possible to use the body effectively within the environment” (Ayres, p11, 1989). There are many different areas in the brain that predict, select, organize and pass on sensory signals that arise from within the body and from the environment. Prediction and expectation play a major role in how sensory information is used, context and goals determine the level of sensitivity of receptors, arousal levels and salience systems determine which information needs urgent attention and reaches awareness. Anxiety and other mood states influence how the individual responds to sensory information. The impact of experience and environment as well as temperament on behavior is also ignored in favor of a sensory processing explanation. These all inclusive lists of symptoms are seriously problematic because they exclude and ignore the impact of behavior of well described and validated developmental disorders such as DCD, joint hypermobility autism spectrum disorders, ADD and ADHD, as well as conduct and anxiety disorders, and language disorders. Below is the pre-school checklist from the SPD Foundation. I have reordered the list to fit into different well described and validated conditions. Child has difficulty being toilet trained. Child seems weak, slumps when sitting/standing; prefers sedentary activities. Child is overly sensitive to stimulation, overreacts to or does not like touch, noise, smells, etc. Child has sudden mood changes and temper tantrums that are unexpected. Child has difficulty learning and/or avoids performing fine motor tasks such as using crayons and fasteners on clothing. Child seems unsure how to move his/her body in space, is clumsy and awkward. Child has difficulty learning new motor tasks. Child is in constant motion. Child gets in everyone else's space and/or touches everything around him. Child is unaware of being touched/bumped unless done with extreme force/intensity. Child is intense, demanding or hard to calm and has difficulty with transitions. It is hard to understand my child's speech. Child does not seem to understand verbal instructions. Modern neuroscience continues to throw light on the development of and interaction between brain networks and how this development is influenced by the social and physical environment. Longitudinal studies are starting to elucidate the impact of temperament on behavior and the importance of the development of effortful control of behavior in overcoming vulnerabilities imposed by behavioral inhibition as a temperament style. Studies have also highlighted high rates of co-occurence of developmental disorders and how they impact on each other. Another area of research is the impact of early occurring differences in brain development and these act in a cascading manner to influence development. Ayres (1972 p 114) describes the SIT as follows "The central principle of sensory integrative therapy is providing planned and and controlled sensory input with usually - but not invariably - the eliciting of a related adaptive response in order to enhance the organization of brain mechanisms. The plan includes utilization of neurophysiological mechanisms that reflect some aspect of the developmental sequence. The objective is progressive organization of the brain in a method as similar to the normal developmental process as is possible. Because the developmental process in a child with learning disorders is not normal, intervention methods are employed. Insofar as it is possible this treatment employs sensory support and innate brain mechanisms as opposed to cognitive effort ot outer coercion to elicit desired behavior.since the brain stem is the lowest level of the brain and frequently the site of disorder, it receives the greatest focus of attention.". Tactile stimulation which is hypothesized to work through the reticular formation in the brainstem. It is claimed that an under-active or hyperactive child can be brought closer to a normal state of excitation through tactile stimulation of different types. Vestibular stimulation which involves swinging or spinning, the amount and type depending on the child's responses. Proprioceptive input with stimuli coming from sustained muscle contraction of trunk flexors or extensors. Sensory integration therapy has been in use for close on 50 years years but hard evidence for effectiveness is scarce. In addition a submission for inclusion of SPD as a diagnosis in the Fifth Edition of the Diagnostic and Statistical Manual of Mental Disorders(DSM-V), which the American Psychiatric Association published in 2012 was rejected because the symptoms are non-specific. It has been argued that the lack of evidence is due to the complex nature of the disorder and heterogeneous nature of its impact on a child's function. "The objective of this chapter is to review the function of several of the sensory modalities as determined by neurophysiological research." "The functions explored are sometime hypothetical rather than factual, although some factual data lend support to many postulates. often the hypothetical is of more value than the factual because the former provides a tentative explanation of some of the responses of children to therapy. Furthermore a great deal of neural functioning - especially that related to human emotions, cognition and higher adaptive functions still lies in the realm of posutulated." Jean Ayres, despite the rambling, vague and inconclusive nature of her theorizing about the brain, was an acute observer of the difficulties children experienced and explored different ways to address their needs. With the vastly expanded understanding of development and neuroscience of behavior that is available to therapists in 2016 it is time to challenge the assumptions and hypotheses she proposed, accept those that stand up to scientific scrutiny and discard those that prove to be unfounded. Sensory-based therapies are increasingly used by occupational therapists and sometimes by other types of therapists in treatment of children with developmental and behavioral disorders. Sensory-based therapies involve activities that are believed to organize the sensory system by providing vestibular, proprioceptive, auditory, and tactile inputs. Brushes, swings, balls, and other specially designed therapeutic or recreational equipment are used to provide these inputs. However, it is unclear whether children who present with sensory-based problems have an actual “disorder” of the sensory pathways of the brain or whether these deficits are characteristics associated with other developmental and behavioral disorders. Because there is no universally accepted framework for diagnosis, sensory processing disorder generally should not be diagnosed. Other developmental and behavioral disorders must always be considered, and a thorough evaluation should be completed. Difficulty tolerating or processing sensory information is a characteristic that may be seen in many developmental behavioral disorders, including autism spectrum disorders, attention-deficit/hyperactivity disorder, developmental coordination disorders, and childhood anxiety disorders. Occupational therapy with the use of sensory-based therapies may be acceptable as one of the components of a comprehensive treatment plan. However, parents should be informed that the amount of research regarding the effectiveness of sensory integration therapy is limited and inconclusive. Important roles for pediatricians and other clinicians may include discussing these limitations with parents, talking with families about a trial period of sensory integration therapy, and teaching families how to evaluate the effectiveness of a therapy. Ayres AJ (1972)Sensory Integration and Learning Disorders. Sensory and auditory integration therapy. Aetna Clinical Policy Bulletin Number 0256, October 23, 2015.